This picture book biography is an excellent and accessible introduction for young readers to learn about one of the world's most influential luminaries. With her signature style of prose laced with stirring quotes, Doreen Rappaport brings to life Helen Keller's poignant narrative. Acclaimed illustrator Matt Tavares beautifully captures the dynamism and verve of Helen Keller's life and legacy, including her advocacy on behalf on people with disabilities and women's suffrage. 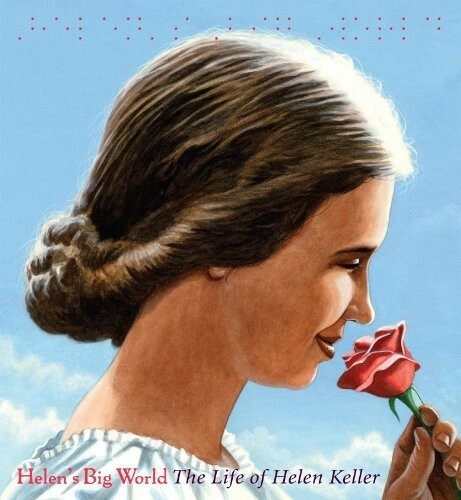 Helen's Big World is an unforgettable portrait of a woman whose vision for innovation and progress changed America and the world forever.